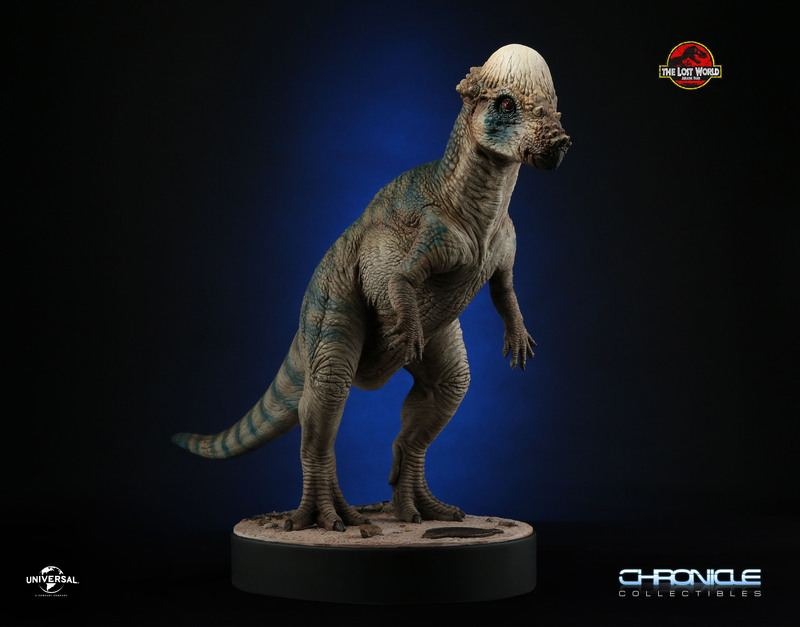 Our friends at Chronicle Collectibles have shared with us some great new items that will be going up for pre-order later today! 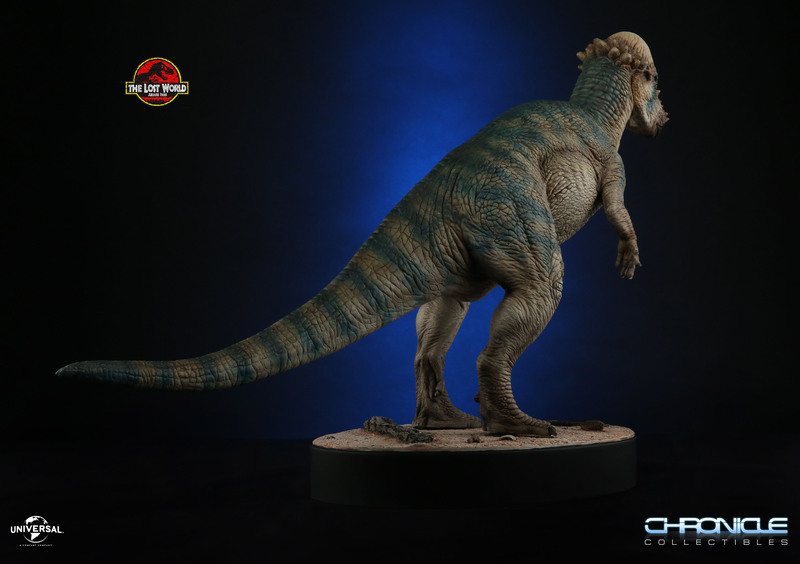 Starting at 3:00 PM Central Time, fans will be able to pre-order a couple of new statues from their Jurassic Park line. 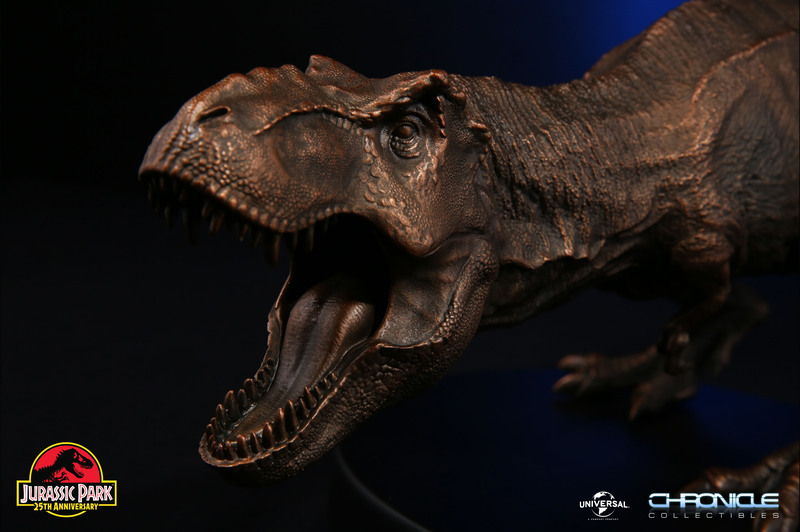 We’re pleased to share a first look at the two items; A Faux Bronze Breakout T-Rex Statue and a Pachycephalosaurus Maquette. 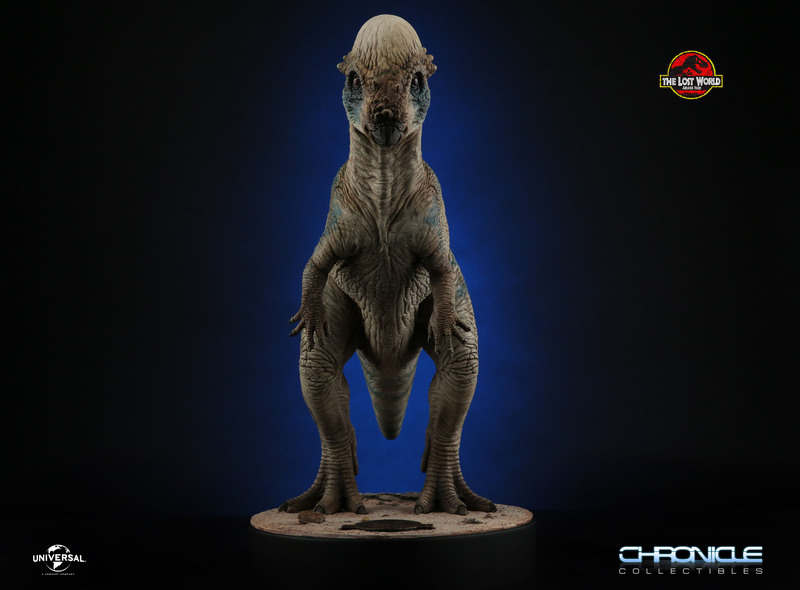 Last year, Chronicle released their Jurassic Park Breakout T-Rex Statue. This release proved to be one of their most popular in the entire line, selling out of its 1,000 piece run rather quickly. 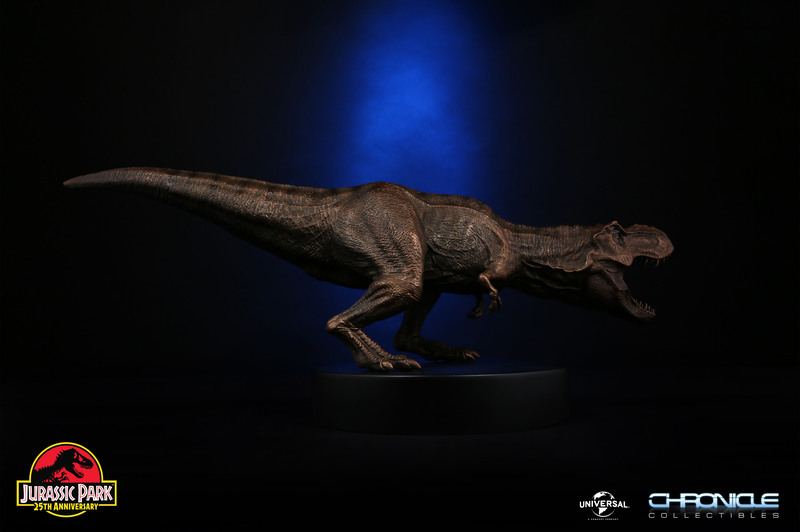 For the 25th anniversary, they are bringing the T-Rex back with a new look. Chronicle took the T-Rex from the previous set, and added a faux bronze finish to it. 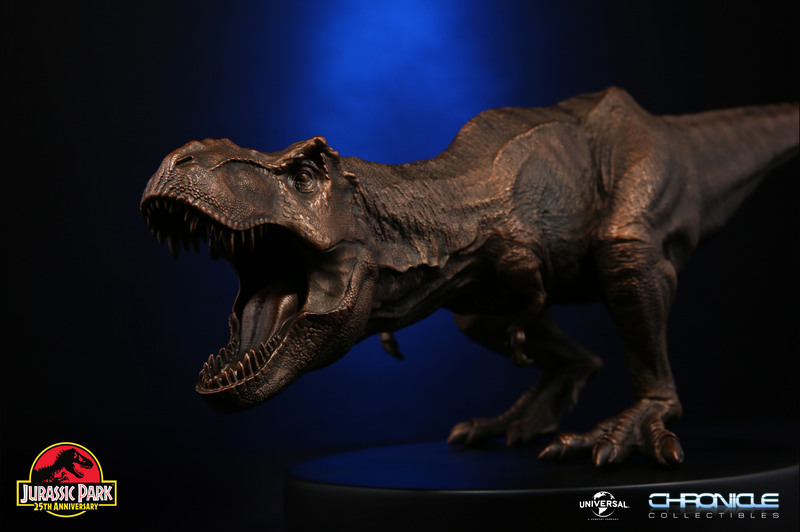 Like the previous release, the 1/20 scale T-Rex measures at 24″ long, 16″ tall and 12″ wide, with a traditional looking black base that measures is 9″ x 2″. The release will include newly designed packaging as well. Edition size has yet to be determined, but they are looking for something in the area of 150 to 300 pieces at most. 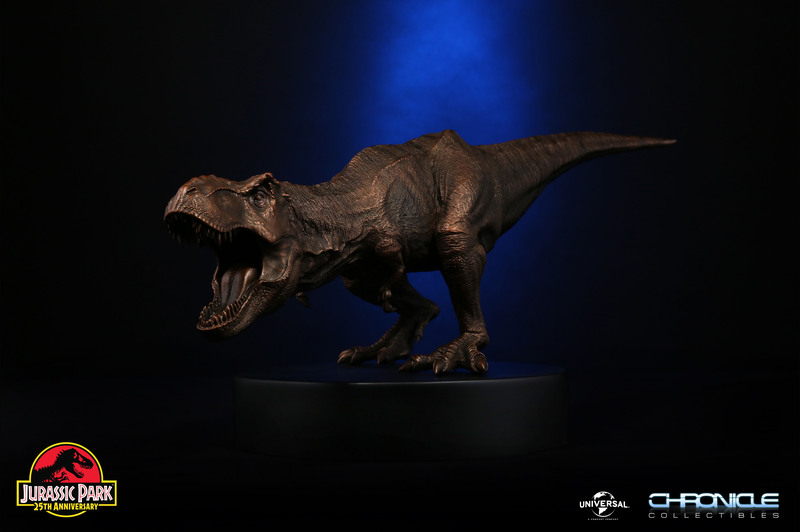 The T-Rex Faux Bronze Statue release will be priced at $349. 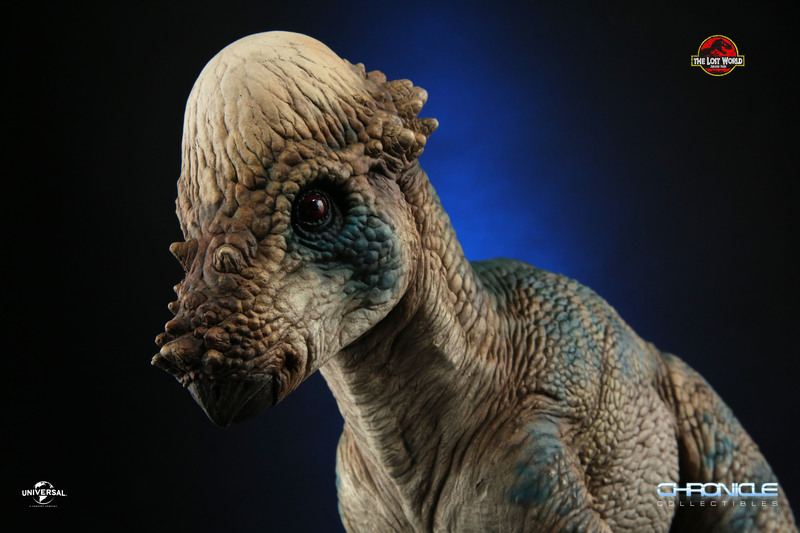 The second item being offered is a replica of the Pachycephalosaurus Maquette, which was created by Stan Winston Studio for The Lost World: Jurassic Park. 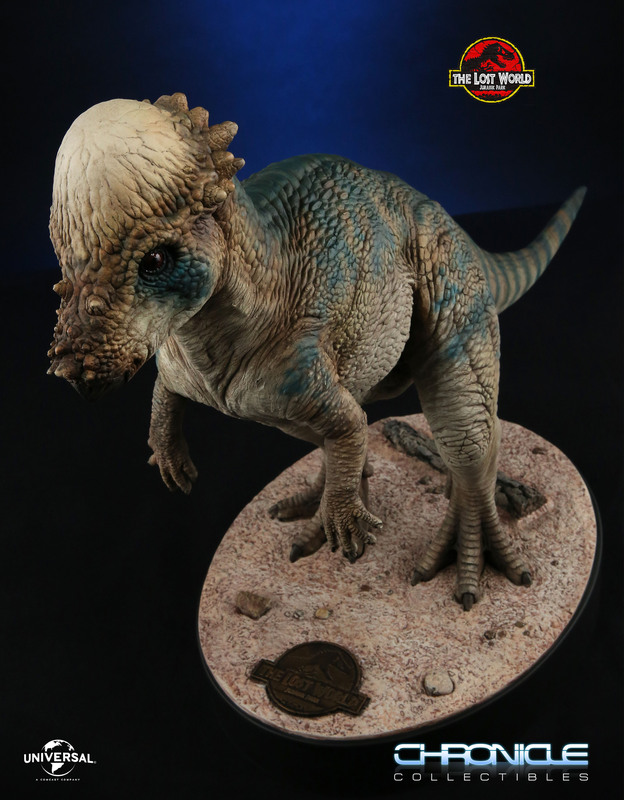 Known more commonly as Pachy (or the Friar Tuck Dino), this release is an exact replica of the original maquette. Pachy will measure at 31″ long, 19″ tall and 7″ wide. A circular, environmental statue base, featuring rocks and dirst will be used, which measures at 9″ deep and 2″ tall. 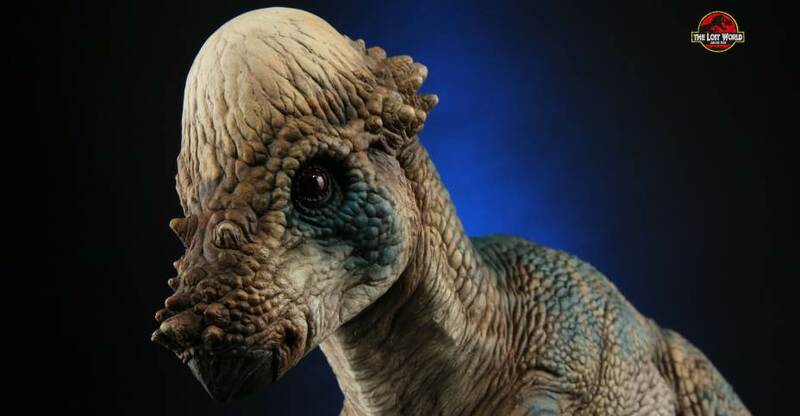 The Pachycephalosaurus will be an extremely limited release, with only 150 pieces being produced. This release will be priced at $399. You can pre-order the statues now! For fans on a budget, Chronicle will be offering interest free payment plans that can be spread out over 3, 6, or 10 month installments. You can check out the new photos after the jump.